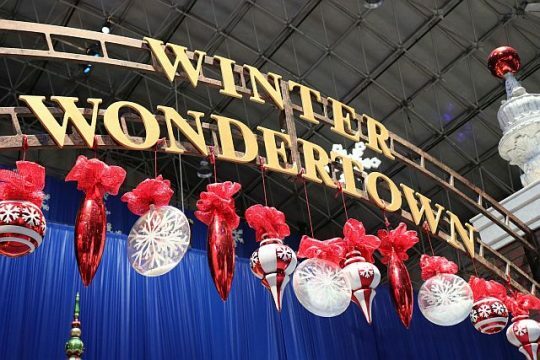 We had a great time visiting the Winter WonderFest at Navy Pier. The event is sponsored by Fifth Third Bank and even though it is geared primarily toward the little ones there is plenty of fun for the whole family. For the little tykes, designated as under 46 inches tall, there are two bouncers and other games in the Jingle Jym Junior area right by the entrance. Of course the Kringle Carousel which is the first thing you see when you enter is fun for anyone looking for a classic carnival experience. My wife never misses an opportunity to ride a carousel. There’s mini golf artic style and an artic plunge is a giant inflatable slide topped by an enormous polar bear. The Lighthouse takes those 36” and taller up a roughly thirty foot lighthouse then unexpectedly drops them repeatedly for a bit of a thrill. The Winter Tube is a slippery snowless toboggan-like slide, only rather than a sled, you ride a kind of colorful inner tube style ring. I think a feature for many is the star spangled ice skating rink. This seems like it might be an attraction for teens looking for a fun date night, especially if mom makes you take your little brother along. 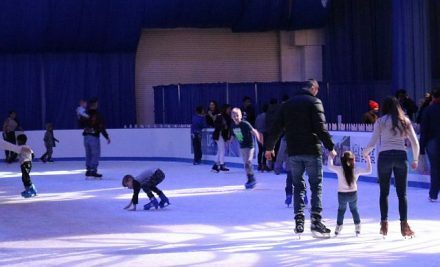 But indoor ice skating is actually my idea of enjoying the sport. Kids love to climb and what could be more fun than making your way to the rafters via the Snowy Summit Climbing Wall? 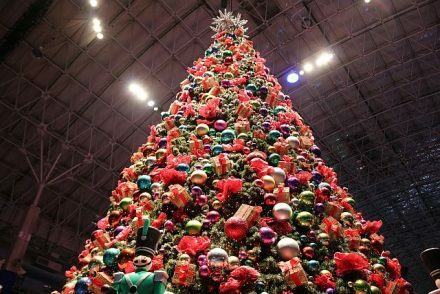 The gigantic Christmas tree is beautifully decorated offering a perfect back drop for a photo or just to be enjoyed from virtually every vantage point within the fair. Gaze up at the wonderful Christmas tree. The Cliff Hanger is certainly the most visual and most exciting offering, whirling you at break-neck speed in a kind of hang glider looking contraption, ultimately landing you gently back the ground. The psychedelic lighting of the Winter WonderWhirl adds a lot to the sense of excitement. There are bumper cars, an excursion train, Tilt’a Whirl and spinning Hot Cocoa Cups. Enjoy plenty of holiday photo ops which you can do yourself or take advantage of the photo package available for purchase on site. 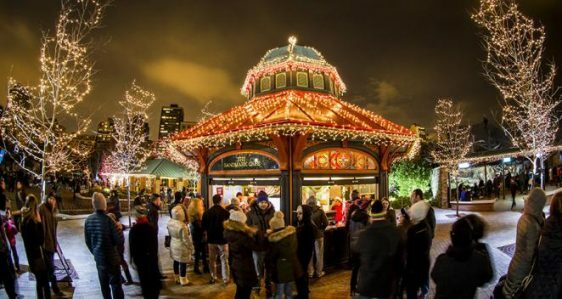 There are snacks, additional rides and attractions and as a nice bonus each ticket also includes a ride on Chicago’s very own Centennial “Ferris” Wheel. 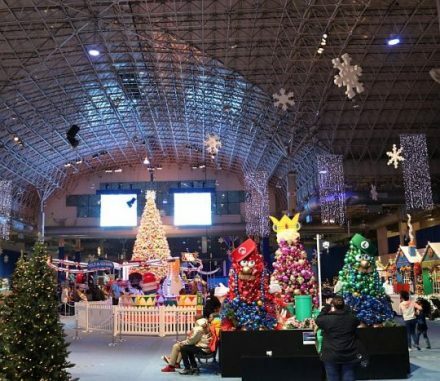 This is a good excuse to get off the couch and do something together as a family or just another nice way to enjoy a trip to Navy Pier.